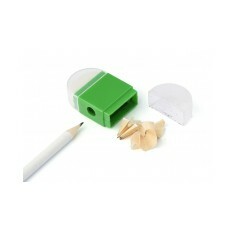 We have a wide selection of personalised pencil sharpeners, all of which can be custom printed with your design. 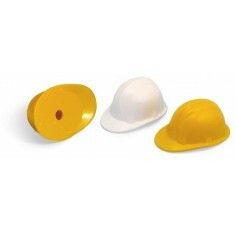 Amongst our range you will find customised recycled pencil sharpeners, box and even hard hat sharpeners! 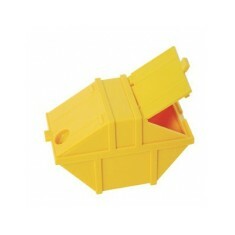 A great desk accessory, perfect for schools or building companies. 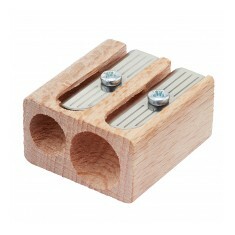 Being an essential for anyone who uses a pencil, whether everyday or every month, custom printed pencil sharpeners are a necessary office supply that is likely to become the office saviour of tired pencils. 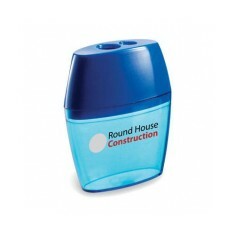 Promotional pencil sharpeners are great for getting your branding seen by a huge audience ranging from children to contractors as they make their way through the office, classroom or work yard. Our range includes plenty of shapes and sizes ranging from classic rounded pots to branded skip shaped sharpeners, so you’ll only have to decide if you want to go simple or strange. 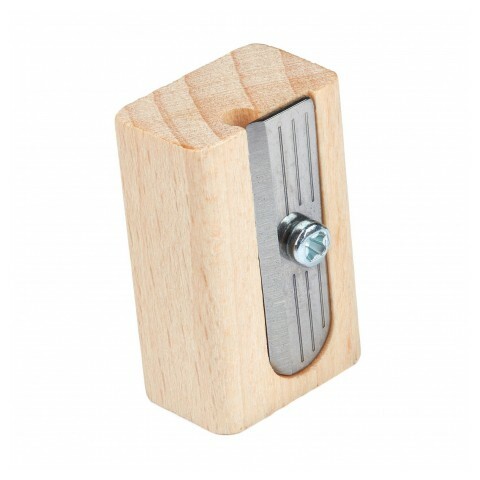 Eco look and traditional feel, the branded Wooden Pencil Sharpener - Single is great if you’re looking for high quality feel and it’s even eco friendly as it is sourced from sustainably managed German Birch Wood. 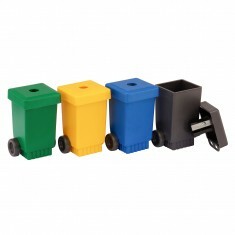 Now, if novelty is more your style, look no further than the personalised Wheelie Bin Sharpener. 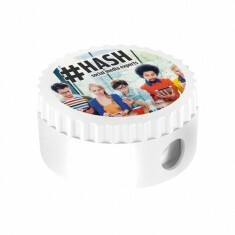 As a perfect novelty pencil sharpener, this one appeals to both young and old with its classic style and is made from recycled plastic with a range of colours to suit your style. Deciding between your practicality and fun? Give our sales team a call today and we send out samples to help you get a better understanding of the products. Generous print area. Available in white or blue. Outstanding value & ideal for schools. 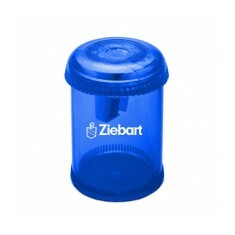 Transparent blue canister sharpener ideal for printing. 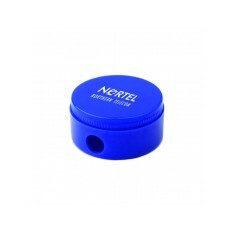 Reduce the clutter in your pencil case with our custom printed Pencil Sharpene.. 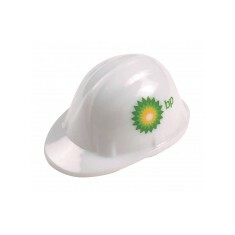 Liven up your stationary collection with our Custom Branded Hard Hat Sharpene.. Double cavity. Sustainably sourced German Birch wood. High quality feel. Recycled plastic. UK stocked. 4 colour choices. Novelty style - fun for schools. Lid lifts to empty sharpening. 4 colour choices. 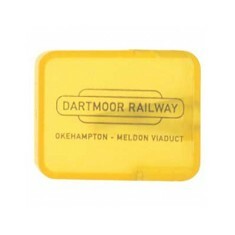 Printed to the lid or 1 side.